Sedona is an exceptionally unique place being home to some of the most magnificent natural wonders in the world. Just as the preservation and continued enjoyment of Sedona’s iconic red-rock monuments at the heart of Sedona’s commitment and ongoing legacy, the Sedona Conservatory organizers have, likewise, chosen to seek out and re-establish historic landmark American concert organs for the Conservatory’s concert hall. This will provide students and performing artists as well as appreciative audiences the direct experience of broad musical history, in addition to extensive tonal resources for both learning and performance. Like the iconic landmarks of Sedona, so, too, the Concert Organ of Sedona Conservatory will constitute a breathtaking monument of extraordinary international significance and distinction. Two highly acclaimed landmark American instruments have been located and secured for the Sedona Conservatory. It is extraordinary, to say the least, that both of these instruments became available simultaneously. 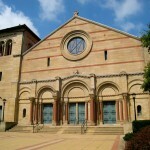 Together they will represent the rich breadth of history and tonal development of 20th-century American organ building. Jamison’s research tour included Henry Willis & Sons (St. Paul’s Cathedral, London), Harrison & Harrison (Westminster Abbey, London), Noel Bonovia-Hunt (esteemed organ designer and voicer), the Cavaille-Coll factory (Notre Dame Cathedral and St. Sulpice, Paris), and the organs of Gottfried Silbermann (Hofkirche, Dresden and Freiberg Cathedral). 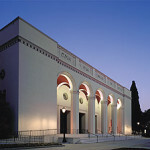 The Claremont instrument was the first American concert hall organ to comprehensively employ this international design. 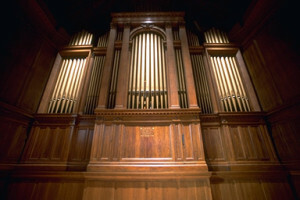 Other organ builders began to adopt this concept which eventually became known as ‘The American Classic.’ This tonal design concept has served as the basis of innumerable instruments since then, as well as for several celebrated organs including Riverside Church in New York, Boston Symphony Hall, and the Salt Lake City Tabernacle. Not only were the designs of the various European organbuilding schools employed in the Claremont organ, but several sets of pipes were actually designed and built by the European builders who were key in developing those concepts. For example, the Trompette was built by the renowned Aristide Cavaillé-Coll of France. The Gamba strings and solo flutes were copied from samples provided by Cavaillé-Coll. The heroic Tuba Stenora was built by Harrison & Harrison of Durham, England and is a duplicate of the same voice in the Durham Cathedral. This Tuba is recognized as the finest such stop in England. Two main sets of “Mixture” pipes are copies of pipes built by Gottfried Silbermann, a personal friend of J. S. Bach, and builder of many organs Bach played. Added to these European styles is the organ’s ‘Solo’ division featuring American ‘Symphonic’ voices such as Violin, Viola, French Horn, Orchestral Trumpet and Oboe, and a unique Saxophone. Many of these were innovations of Ernest M. Skinner, a primary developer of the American school of symphonic style organbuilding. Roland Diggle, Prominent organist and prolific composer, forty years organist and choirmaster at St. John’s Episcopal Church/Los Angeles. 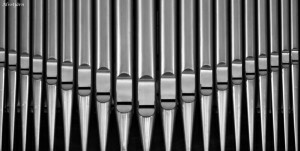 The Oberlin Aeolian-Skinner organ was built in 1955 by the celebrated Aeolian-Skinner Organ Company of Boston, Massachusetts. For many decades this firm built large organs for the most prestigious churches, schools and concert halls in the nation, among them Grace Cathedral in San Francisco, Boston Symphony Hall, and New York City’s Cathedral of St. John the Divine. G. Donald Harrison, Aeolian-Skinner’s president and tonal director, is a legend in American organbuilding. The Oberlin Aeolian-Skinner organ is one of the last two organs built under Harrison’s direction; he passed away within a year of completing this instrument. The Oberlin Aeolian-Skinner represents the ‘Neo-Classic’ tonal design in American organbuilding which moved fully into the ‘Neo-Baroque’ style in the 1960’s. The instrument also contains approximately 12 vintage pipe sets from the previous organ built in 1915 by the E. M. Skinner Organ Company for Oberlin’s Finney Chapel. Ernest M. Skinner is recognized as the ‘Father of 20th Century American Organbuilding’ having built many progressive and distinguished organs characterized by full, richly-varied voices along with several technical advancements still used by organ builders today. 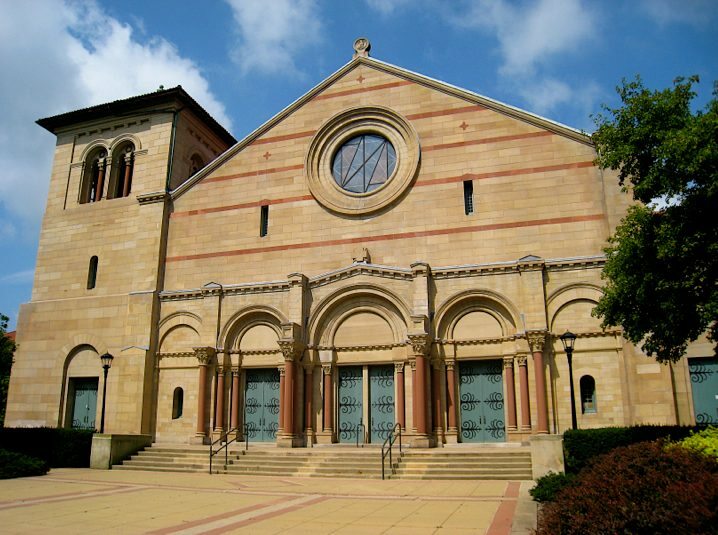 Oberlin College & Conservatory of Music, along with the City of Oberlin itself, has long been known for its large collection of distinctive pipe organs available to students and concert musicians alike. In Oberlin’s 1200-seat Finney Chapel, the 1955 Aeolian-Skinner Opus 230-A, preceded by the 1915 E. M. Skinner Opus 230, has been the experiential training core for multiple generations of students who have gone on to become internationally-respected organ teachers, church musicians and concert artists. 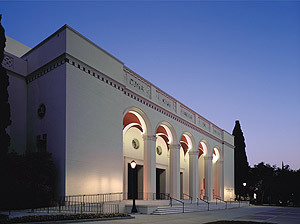 There is an interesting direct connection between the Oberlin College Conservatory of Music and the Claremont Colleges’ Estey organ described above. Historic records reveal that in 1930, Conservatory Organ Professors G. W. Andrews and G. C. Lillich travelled to the Estey factory in Brattleboro, Vermont at the invitation of tonal director James Jamison to play and evaluate Estey’s international concept Magnum Opus 2981 prior to its installation in Claremont College’s new Bridges Auditorium of Music. On November 16, 2015, the first of two 53-foot moving vans arrived in Sedona, Arizona carrying the Aeolian-Skinner Opus 230-A. For a full account of this near-epic 16-year journey from Oberlin, Ohio to Sedona, Arizona – Click Here or From Oberlin to Sedona. 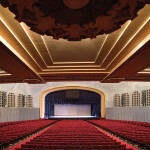 The Claremont Auditorium and Oberlin Conservatory organs are each unique and distinguished historic landmark instruments in American organbuilding, together representing a full tonal spectrum and history of internationally-based American organbuilding design. These historic instruments will he handled in unique ways befitting their joint pedigree. Instead of being moved to a distant business warehouse and factory for conventional refurbishing as is typically done, these organs will, rather, be approached from a curatorship perspective. This includes their re-assembly in an ‘Organ Pavilion’ building in Sedona. Here, each of the organs will be revived so that its tonal composition and mechanics might be experienced and evaluated. From this vantage point appropriate directions can then be approached as dictated by the inherent qualities of the instruments. The Sedona Organ Pavilion will serve as a center for their rebirth and refurbishing, as well as provide public opportunities to experience the completed instrument prior to its installation in the Sedona Conservatory Concert Hall. The Estey organ’s magnificent 4-keyboard console will be completely refurbished, as will be E. M. Skinner’s original 1915 Oberlin console reconfigured in 1955 by Aeolian-Skinner. From each console one may play its respective fully re-established instrument. In addition, a new 5-keyboard Sedona Conservatory Concert Organ console will be created to play the entire Conservatory Organ as a single, fully integrated instrument. The Sedona Conservatory Concert Hall Organ will total some 224 sets of pipes, comprising approximately 12,700 individual pipes, thus making it by far the largest concert hall organ in the world. It will be a cultural resource of extraordinary international interest, stature, and benefit rivaled only by the magnificent setting of Sedona itself. Weston Harris is both an organ builder and noted concert organist. 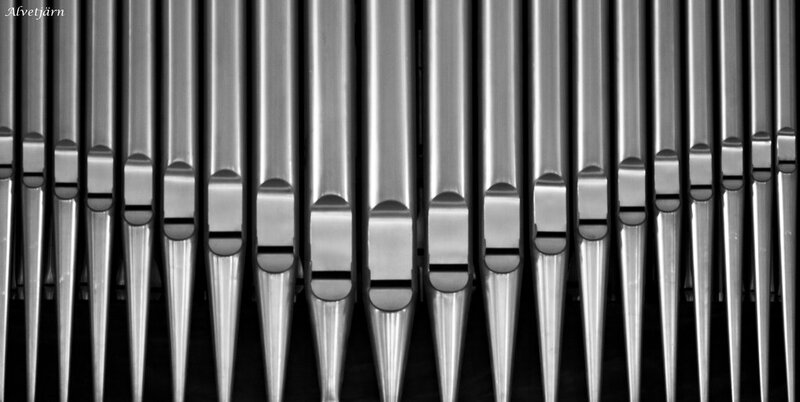 His training as an organist included extensive study with Dr. Alexander Schreiner, former chief organist of the famed Salt Lake Mormon Tabernacle. Mr. Harris has performed throughout Germany, Great Britain, and the U.S. His organ building apprenticeship was served with Wayne N. Devereaux, former chief organ technician of the celebrated Aeolian-Skinner organ of the Salt Lake City Tabernacle. This training and experience continued during Mr. Harris’ concert touring. His organbuilding work has been primarily with vintage concert-style instruments. This is your opportunity to ‘reignite musical history’ and secure your name in it!. We invite your financial participation to directly support the future of performing arts. CLICK HERE for full information on donation opportunities.